A big difference exists between a connected home and a smart home. Sensors and carefully crafted automation rules can help make your home make changes itself instead of always relying on interaction from you. There are a ton of perks to having a motion sensor in your HomeKit-equipped home. Motion sensors can do everything from alert you if there is someone in a restricted area, to triggering lights on and off as you enter or leave rooms, or enabling a nightlight in hallways. Not only does that make the home better for those living in it, but for those who don't necessarily have access to the smart home such as children or guests. The Fibaro Motion is spherical, with a simple snap-on stand to keep it in place. It's hard not to notice the similarity between the Fibaro Motion and an eye -- which is even more noticeable when the light is on. The shell is able to rotate and separate to house the small CR123A battery hidden inside. On the front is a diffused LED light to give visual feedback whenever motion is detected. The base is rather small, so if placed near an edge, has the propensity to be knocked over and roll away. At the same time, the shape gives you a huge range of orientations. Placement is key with motion sensors, so being able to angle this in nearly any direction you'd like is ideal. Instead of just setting it on a table, the tiny base can be mounted to a wall or ceiling, making it even more secure. At a minimum, a piece of removable adhesive can be placed under it to make sure it never accidentally gets bumped around. Fibaro didn't just pack a single motion sensor into this device, they also packed in a light and temperature sensor as well. Those often are two separate devices. With this trio of sensors, it is even more powerful. Fans can be turned on when it becomes too warm or the thermostat can be adjusted. Rules can also be more precise. Think of a basic rule to just turn on a nightlight when motion is detected. We can add conditions to that, so maybe it only turns on the nightlight when it is after sunset and people are home. Using the light sensor of the Fibaro Motion, we can even say only turn on the nightlight when it is after sunset, people are home, and it is dark in the hallway or room. These types of intelligent rules make a big difference living with it every day and having a light turn on only when needed, and not otherwise. Looking at just the motion sensor, you can get alerts whenever motion is detected. You can have these alerts only appear when you are away, or during certain parts of the day. Fibaro's app is decent, though not great. While it shows you your whole home, and exposes a bit of additional information like the last time motion was detected versus Apple's Home app, it is limited in function, and has a poor layout. To create some great rules, our preferred app is Eve. It lets you get extremely granular and walks you through the process of creating automation rules step-by-step. Siri can also be used. She can let you know if lights are on in a room based on the light levels, if there are people in a specific room based on the motion, and what the temperature is. A quick note, like many HomeKit accessories, Fibaro Motion runs on Bluetooth. That means to run automation tasks and recieve alerts remotely, you will need a Home Hub. That can mean a HomePod, an Apple TV, or an iPad. Many have people have converted as much as possible to HomeKit devices, but many more are just tiptoeing into the smart home. Everyone jumps on the most obvious categories such as lights, thermostats, and smart outlets. To truly make those devices smart you need to add a variety of sensors. Of all the motion-sensing HomeKit devices out there, this is our favorite. Amazon, as is frequently the case, is the easiest way to get your hands on Fibaro's Motion multi-sensor where it is available for $69.99. $70 is a high price for only having bluetooth connectivity. I can get the hue sensor for $40 which has all of these same sensors I think. Of course, if you don't already have a hue hub, then you would need one, but it isn't really that much of an added cost. Step in the right direction, but we still don't have a great mechanism for what this is kinda trying to acheive -- occupancy sensing. Motion (or the lack thereof) doesn't equal occupancy (or non-occupancy). Looks like the Hue sensor does not have a temperature sensor. Only motion and light. That might be all you (and I) need but a temperature sensor could be very useful. 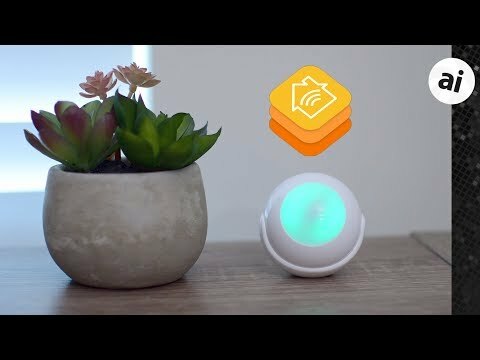 Thanks for mentioning the Hue sensor, I think I want one for my little Hue setup. Hue sensor does have a temperature sensor. I never used it and just checked my phone to see if it exists. Nice, not too pricey imho but bluetooth only is a killer for me. Even with a homepod or apple tv I'd have to buy 5 or 6 "hubs" just to get the same coverage of wi-fi around my house, no use. Hue motion sensor 100% has a temperature sensor. I have 4 of them and the Home app shows the temp in each room they are located in. I've really wanted to add a few motion sensors to my HomeKit setup for both turning on lights at night (when kids get up the middle of the night) and also for turning on exterior lights when someone walks up our driveway. But, as D_CMills said, $70 is quite steep. The Eve motion sensor I believe is nearly the same price. Maybe I'm just being cheap, but I can't justify the cost to put 3-5 of them in my house. I looked at the Hue sensor, which is much cheaper, but I don't want another hub in my house... it feels like one more thing that could go wrong in the setup. As an aside - the article mentions triggering automations based on temperatures. I have the ecobee thermostat with room sensors (which unfortunately detect occupancy, not motion) but I can't figure out how to trigger an action based on the temperature in a room. For example, turn on my ceiling fan (Hunter Signal). The Home app automatons only let me use the occupancy sensor in each room, not the temperature. Does anyone know how to use the temperature from an ecobee sensor in an automation?